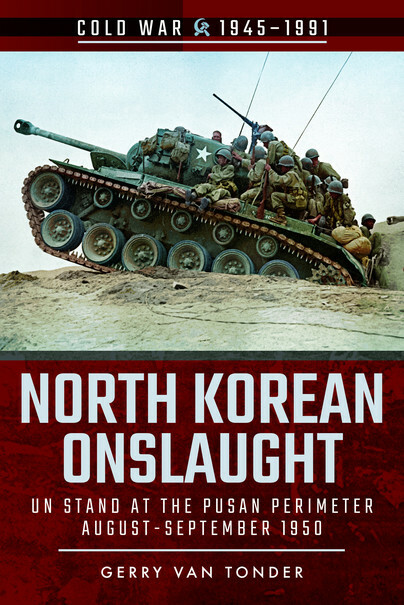 You'll be £8.99 closer to your next £10.00 credit when you purchase North Korean Onslaught. What's this? In the first volume in this series on the Korean War, North Korea Invades the South, North Korean ground forces, armour and artillery crossed the 38th Parallel, and, in blitzkrieg style, rolled back UN and South Korean forces down the Korean peninsula. Despite the US and South Korea committing army, air force and navy units, supported by forces from Australia, Britain, New Zealand, France and Canada, by 31 July, eleven enemy divisions were concentrated in a disconnected line from Chonju to Yongdong. Along the south coast, North Korean divisions pushed eastward towards Masan. To the east and centre of the peninsula, the enemy closed in on Kimch’on and the Naktong River line. On the east coast, three North Korean divisions secured the Yongdong–P’ohang axis, placing them within mortar range of the UN airfield at Yonil. Reeling, the UN forces desperately defended the 140-mile-line lodgement area that incorporated the port of Pusan. Supreme commander of UN forces, General Douglas MacArthur, had his back to the sea, facing thirteen enemy infantry divisions, two new tank brigades and an armoured division. On 1 September, North Korean forces launched their strongest offensive to date, and in the first two weeks of the month, American casualties became the heaviest of the war. Of particular concern to General Walker was the danger of losing the town of Taegu in the centre. The resultant loss of the strategic Taegu–Pusan railway would be catastrophic. MacArthur and Washington were running out of options, but the Pusan Perimeter had to be defended at all costs.